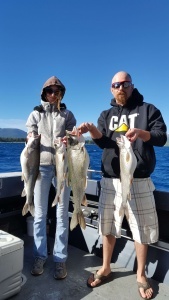 Report: The very first 4 days of July the Lake Trout “Mackinaw”fishing was outstanding on Tahoe. Capt. James and his party of 4 landed 22 Mac’s on the morning of the 4th alone, we released many and kept enough for dinner. 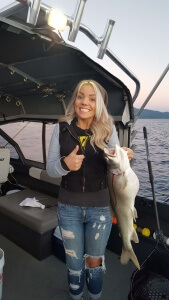 The fishing did slow down for a few days 5,6,7 of July mostly due to the fish getting spooked by the firework show and boat traffic on the lake, on the 8th the bite cam back to normal and we are again landing 10-20 fish a trip. We are anticipating the salmon to arrive soon as we are beginning to see small schools arrive and more by the day. Here are some pictures of the average fish being caught currently. From the 8th and 9th! 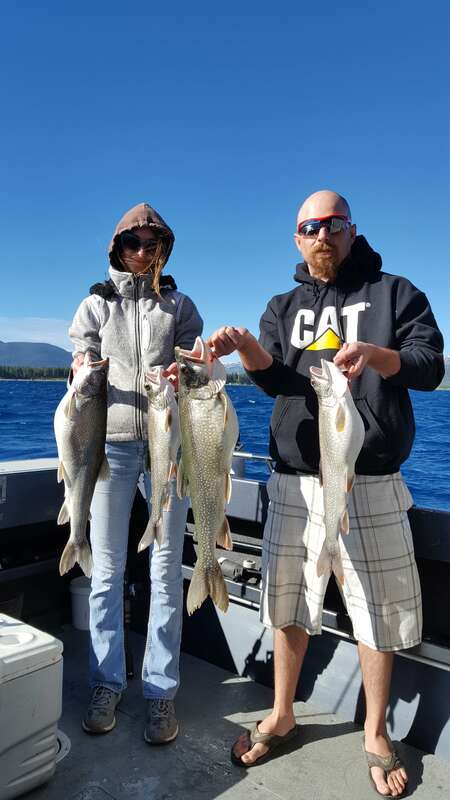 To book your Lake Tahoe fishing adventure please contact Eagle Point Sportfishing @ 530-577-6834.